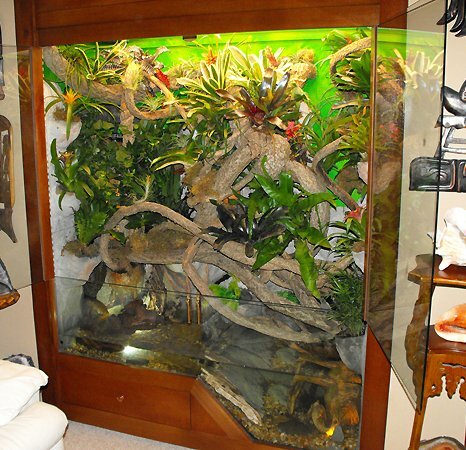 Do you wish to accommodate live Tropical plants within these enclosures? No problem. 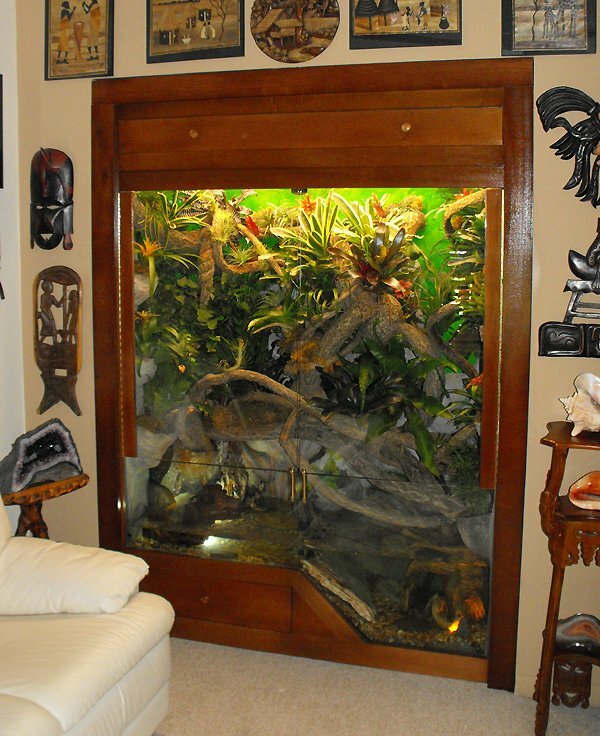 I create rock formations that enable you to insert your favorite Tropical Plants within these enclosures while still providing the option of large pools of water below including waterfalls. 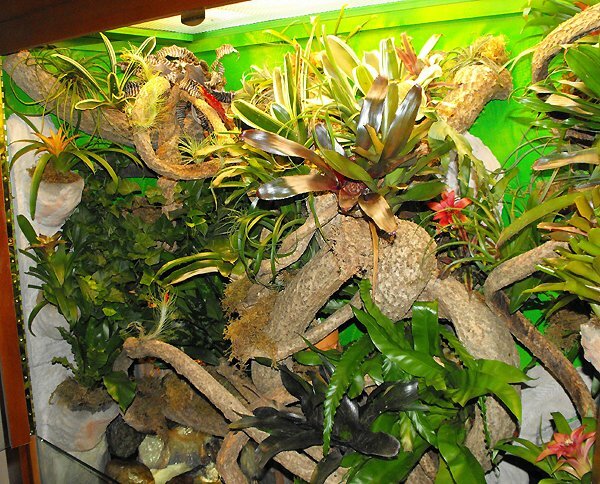 You can display your favorite live plants such as bromeliads, orchids & air plants. The humidity contained in these enclosures create the perfect atmosphere for such plants. The rock formations contain numerous inserts of various sizes starting with the larger inserts located towards the bottom and smallest near the top. These rocks are mounted on the left, right & rear sides of the enclosures walls to allow for plants to cover them creating a wonderful view. 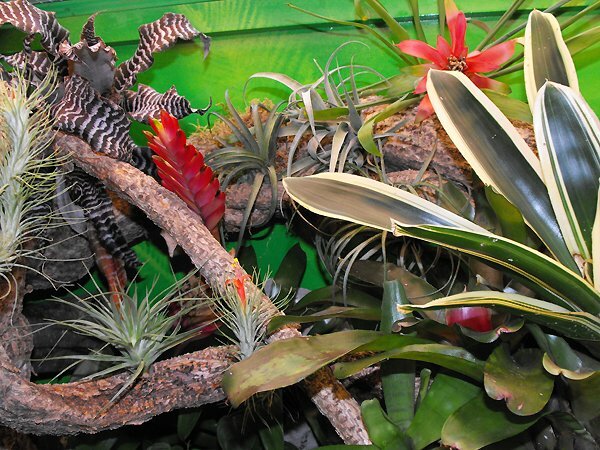 Air plants can be easily attached to the branches and will thrive. 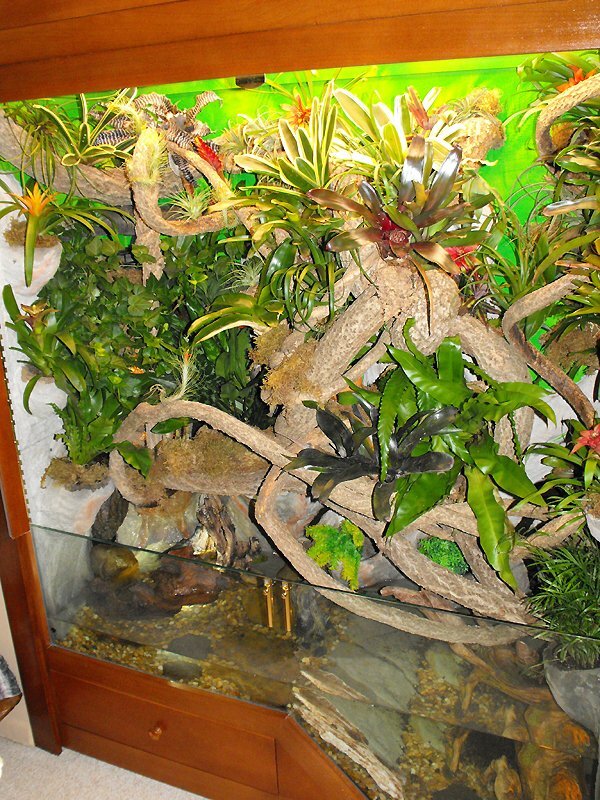 Smaller Reptiles and Amphibians can be housed in these enclosures without the worry of ripping your plants apart. 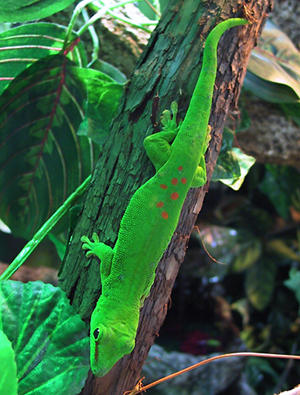 Small tree Frogs and geckos such as the Giant Madagascar Day Gecko add the final touch to these environments.